David Van Zanten (au); & Robert Twombly (au); Wim de Wit (ed). 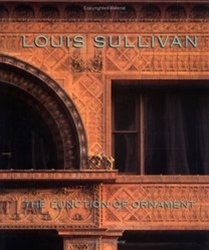 Catalogue of a retrospective on the renowned American architect Louis Sullivan shown at the Chicago Historical Society, Cooper-Hewitt Museum, & The St. Louis Art Museum. Contemporary architects have rediscovered the role of ornament as a humanizing element in their structures. No one practiced the art of ornamentation better than Sullivan, one of the earliest & most significant designers of the skyscraper. 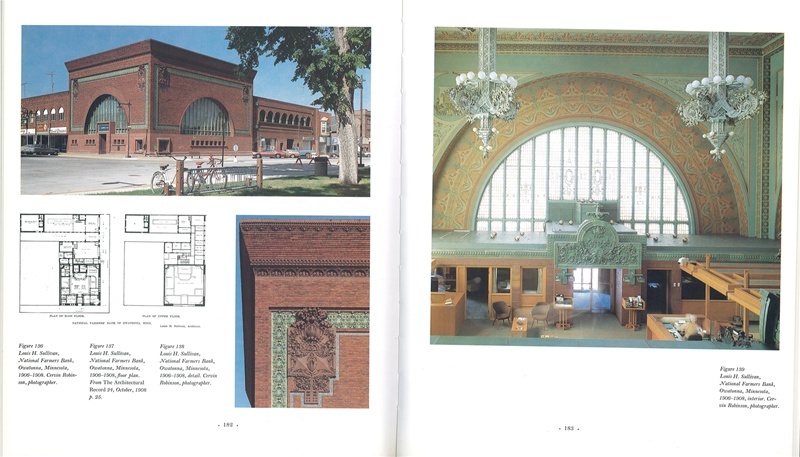 His genius for integrating form & structure with ornamentation is celebrated here in both contemporary & historical photos & in an enlightening text by leading architectural scholars. Color & B&W photos & drawings.